Montrealers heard from the city's pick to lead its police service in an open session of the public security commission on Friday. Members of the public questioned Sylvain Caron, who will be the new head of the force pending approval by Public Security Minister Geneviève Guilbault, about budgeting, oversight and corruption before he was approved unanimously by the commission. "He's obviously a very knowledgeable police officer with a very deep and broad experience," said commission president Alex Norris. Norris said Caron's commitment to transparency was illustrated by the fact that he agreed to take part in the open session. Caron said his patience, as well as his experience working in police administration, will allow him to turn the SPVM into something Montrealers can be proud of. Eve-Marie Lacasse, from the non-profit Ligue des droits et libertés, asked Caron what he intends to do about letters made public this week detailing that SPVM officers have routinely broken the law regarding how investigations where police injure or kill a civilian must be handled. Caron said he became aware of the letters written by Bureau des enquêtes indépendantes (BEI) head Madeleine Giauque in September, and that he met with Giauque personally in early October. "There is no bad intention from the personnel," Caron said. "There is a lack of understanding that we are in the process of correcting." Center for Research-Action on Race Relations head Fo Niemi told CBC News that the city should be taking more time in choosing a new chief. Interim chief Martin Prud'homme submitted the report with his recommendation for his successor on Tuesday. "The process is very rushed. I'm sure a lot of citizens and interested parties have not had time to read the report and figure out what's going on," he said. Plante defended the speed of Caron's appointment in an interview on CBC Montreal's Daybreak. "I feel really comfortable taking the advice of Mr. Prud'homme and choosing a chief that can continue the work he started," she said, calling the process "more transparent than ever." Niemi said not enough information has been made available on Caron's record of dealing with discrimination, which he stressed was especially important for law enforcement in a city as diverse as Montreal. After the public security commission votes on Caron's appointment, it will be put to a vote by Montreal city council and must be approved by Quebec's public security ministry. The SPVM has been run by Prud'homme, who temporarily left his role as head of Quebec's provincial police service to take over for the past year. "It's fragile," Caron said of the police service's current state. "We want to turn the page." Prud'homme gave a statement at the start of the meeting saying that much progress has been made, particularly in the internal affairs division. "The organizational climate has changed enormously," Prud'homme told the commission, but added that work remains to be done. Caron was one of two candidates recommended by Prud'homme. 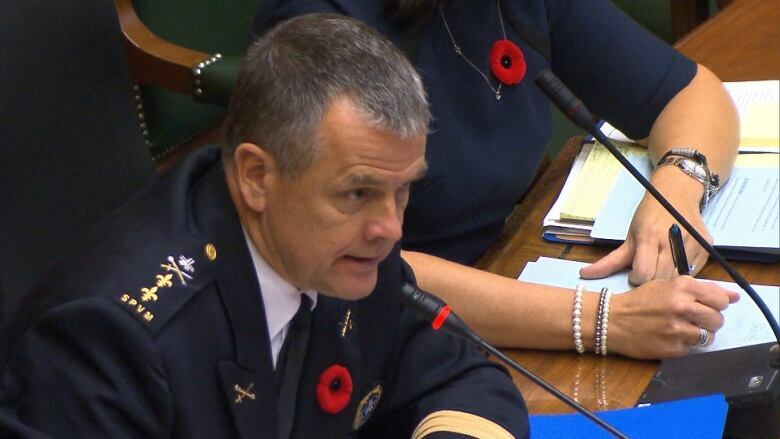 The other was former RCMP deputy commissioner Line Carbonneau. 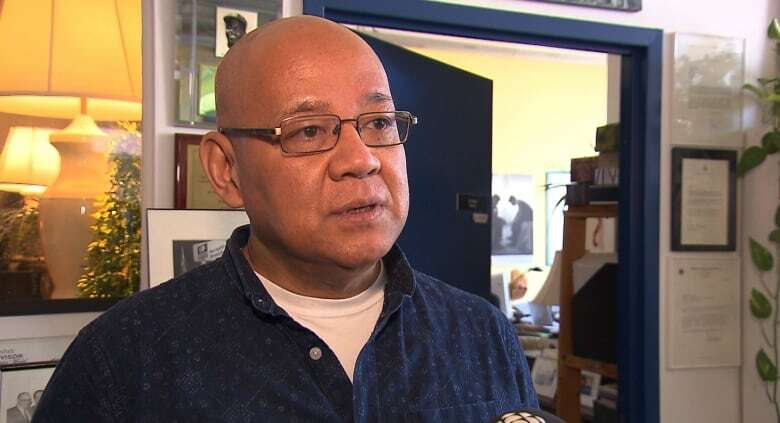 Former chief Philippe Pichet was suspended last year after Quebec's public security ministry released a report detailing that under his watch, internal affairs investigations concerning police wrongdoing were sidelined, and that there was a "climate of tension" within the force. Prud'homme singled out the process in which officers are trained and promoted within the force as being especially problematic. He stressed that it was important that the force's new leader be chosen from outside the SPVM if it were to continue with the reforms he says are needed. Caron has held administrative positions in the Sûreté du Québec and worked for 21 years at the Sorel-Tracy police, including serving as chief. He currently serves as the SPVM's head of investigations. He said his goal is to turn the SPVM into a service that inspires pride and confidence in its members — and in citizens. He wants the Montreal police to be collaborative and transparent, to follow the laws applicable to police and efficiently manage its budget and resources.